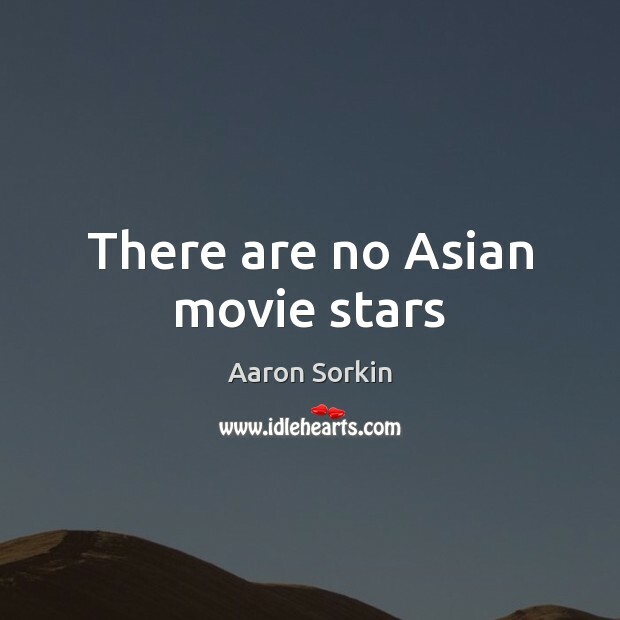 Enjoy the best inspirational, motivational, positive, funny and famous quotes by Aaron Sorkin. Use words and picture quotations to push forward and inspire you keep going in life! 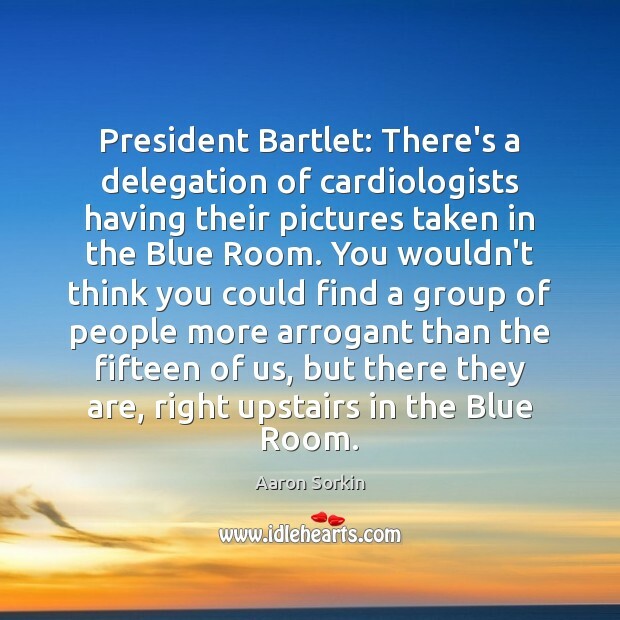 President Bartlet: There's a delegation of cardiologists having their pictures taken in the Blue Room. You wouldn't think you could find a group of people more arrogant than the fifteen of us, but there they are, right upstairs in the Blue Room. 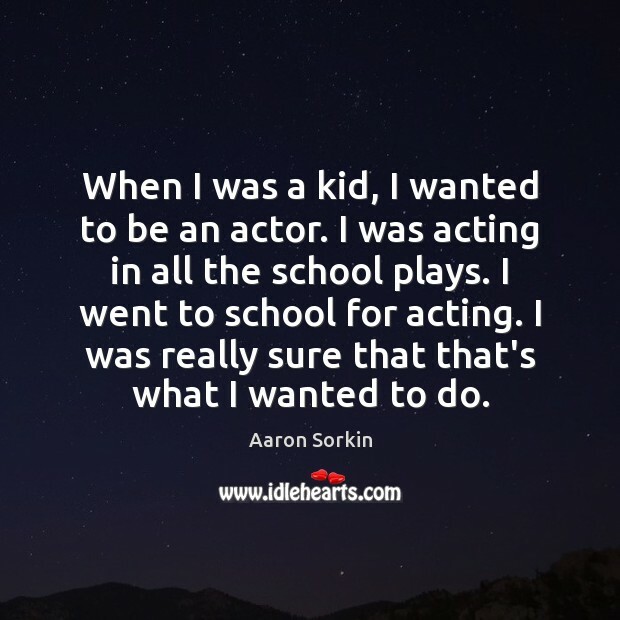 When I was a kid, I wanted to be an actor. 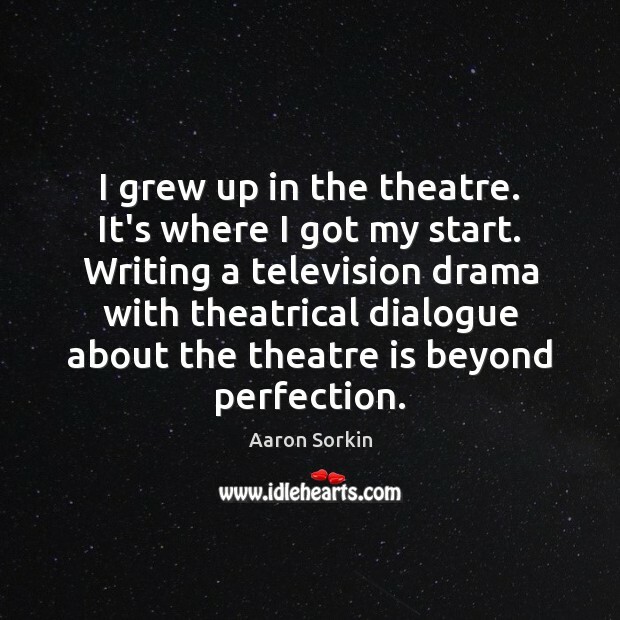 I was acting in all the school plays. 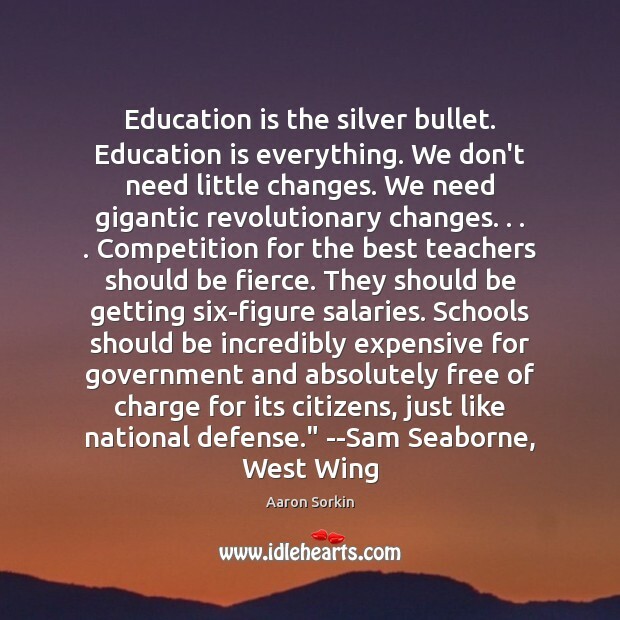 I went to school for acting. I was really sure that that's what I wanted to do. 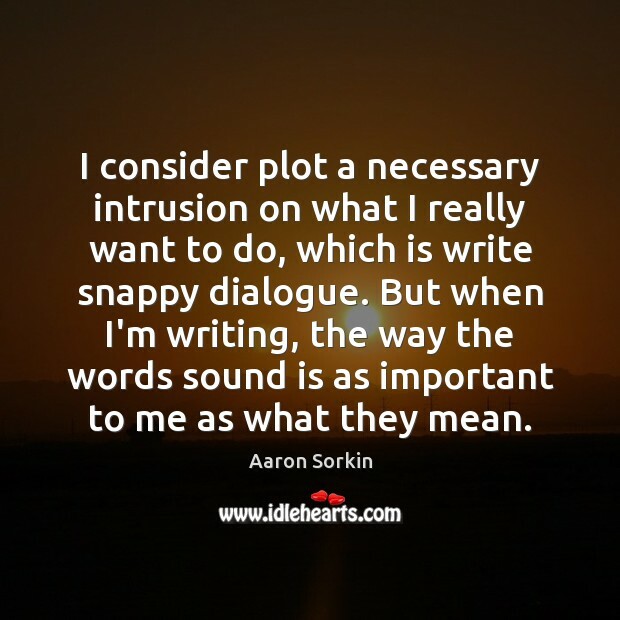 I consider plot a necessary intrusion on what I really want to do, which is write snappy dialogue. 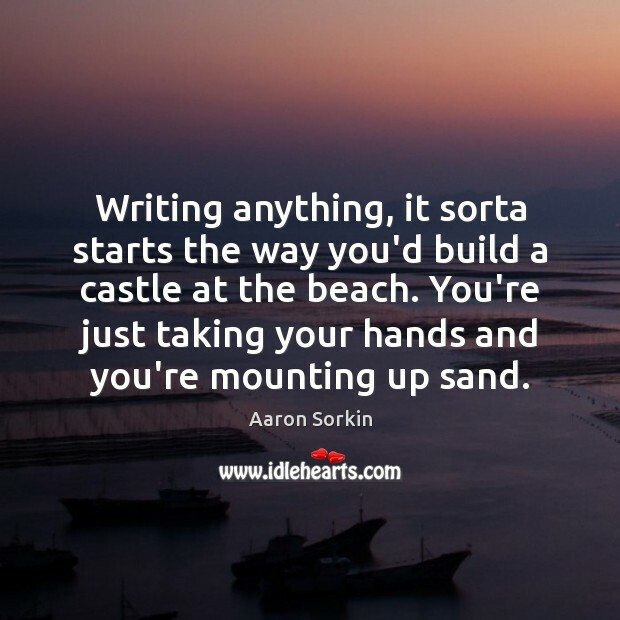 But when I'm writing, the way the words sound is as important to me as what they mean. 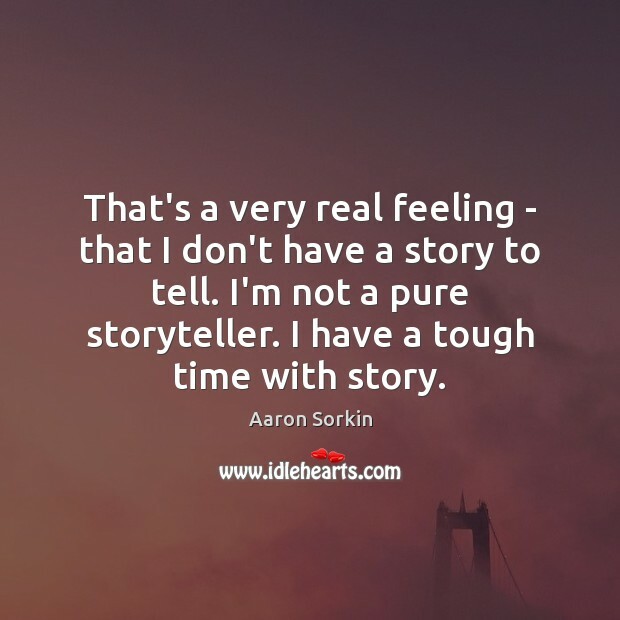 That's a very real feeling - that I don't have a story to tell. 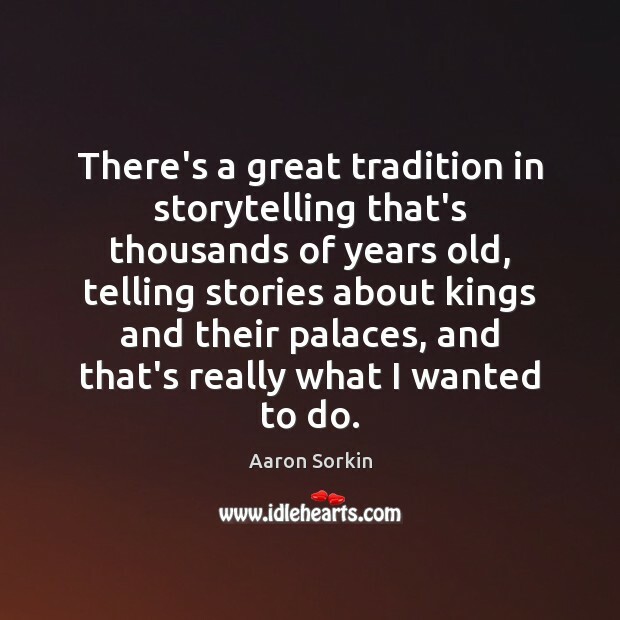 I'm not a pure storyteller. I have a tough time with story. 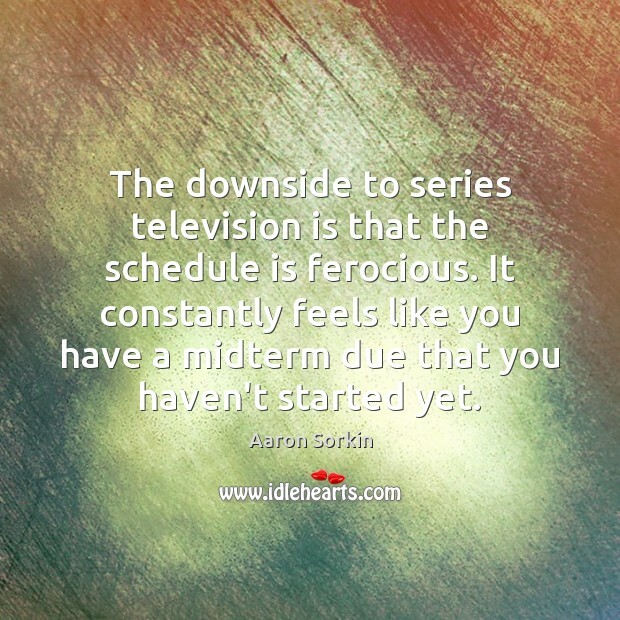 The downside to series television is that the schedule is ferocious. It constantly feels like you have a midterm due that you haven't started yet. 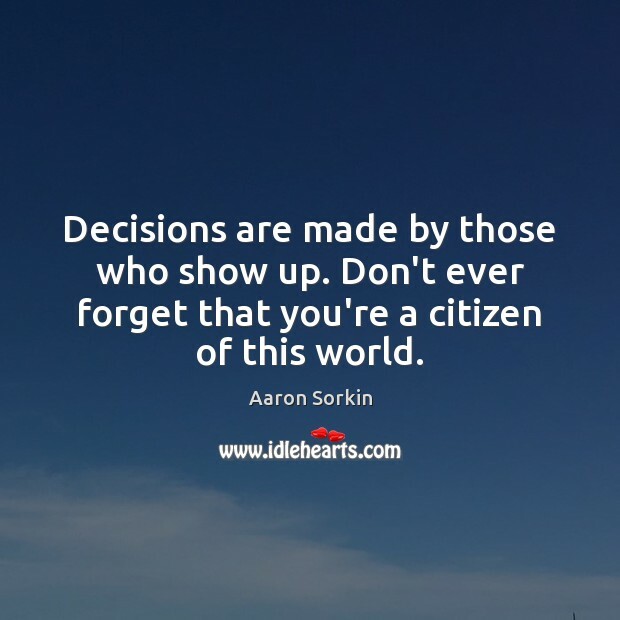 Decisions are made by those who show up. Don't ever forget that you're a citizen of this world. 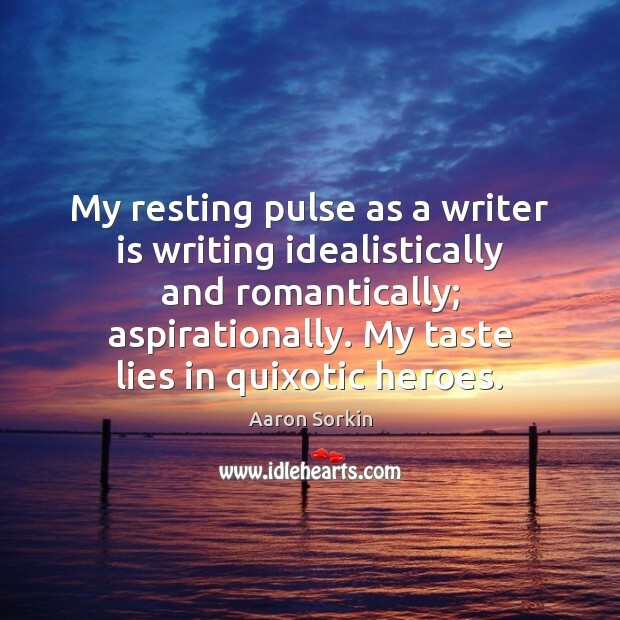 My resting pulse as a writer is writing idealistically and romantically; aspirationally. 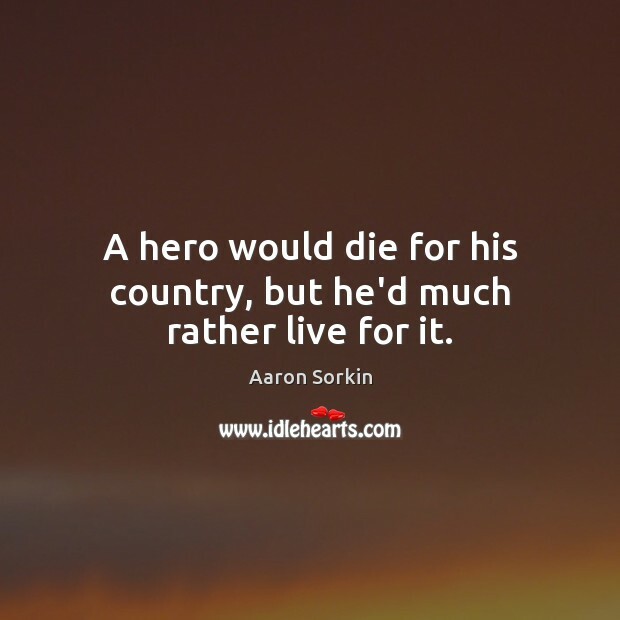 My taste lies in quixotic heroes. 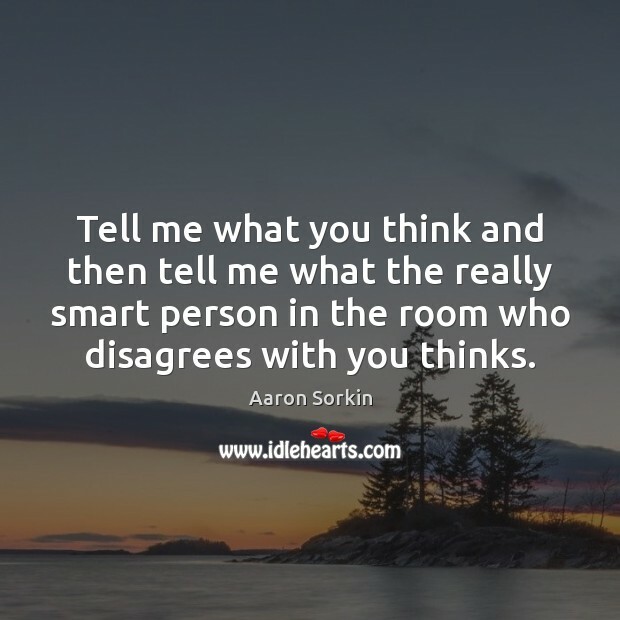 Tell me what you think and then tell me what the really smart person in the room who disagrees with you thinks. 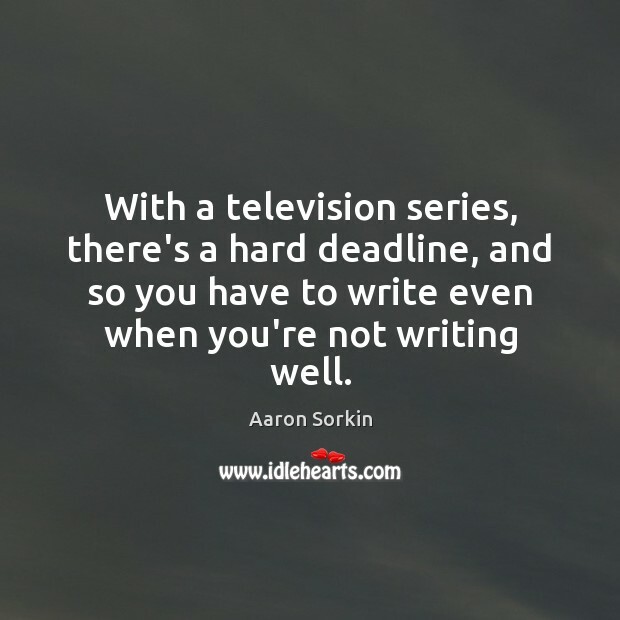 With a television series, there's a hard deadline, and so you have to write even when you're not writing well. 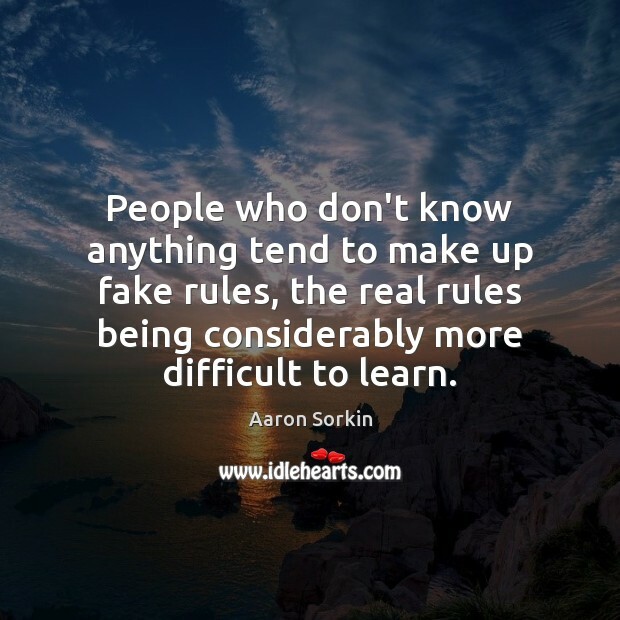 People who don't know anything tend to make up fake rules, the real rules being considerably more difficult to learn.